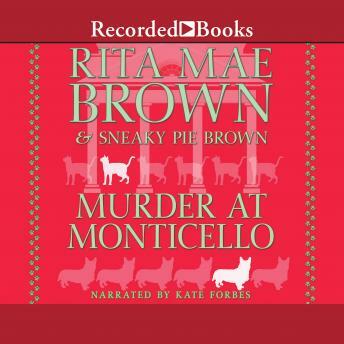 New York Times best-selling author Rita Mae Brown partners with feline co-author Sneaky Pie for this rollicking mystery. After a shocking archaeological find at Thomas Jefferson's Monticello home sparks controversy, Mary Minor "Harry" Haristeen goes hunting for the truth. Her friends Mrs. Murphy the tiger cat and Tee Tucker the corgi go hunting too-for a killer out to keep Harry quiet.